On Sunday's all-new Once Upon a Time season 5 episode 16, "Our Decay," the Heroes continue searching for a way to free everyone from the Underworld. At the mercy of Hades (guest star Greg Germann), Gold (Robert Carlyle) creates a portal to Storybrooke, which transports Belle (Emilie de Ravin), Zelena (Rebecca Mader), and Baby Hood to the Underworld. Belle is reunited with Rumple only to learn shocking news that will change her life forever. Meanwhile, Snow (Ginnifer Goodwin) and David (Josh Dallas) hopelessly attempt to send a message from the Underworld to their son. 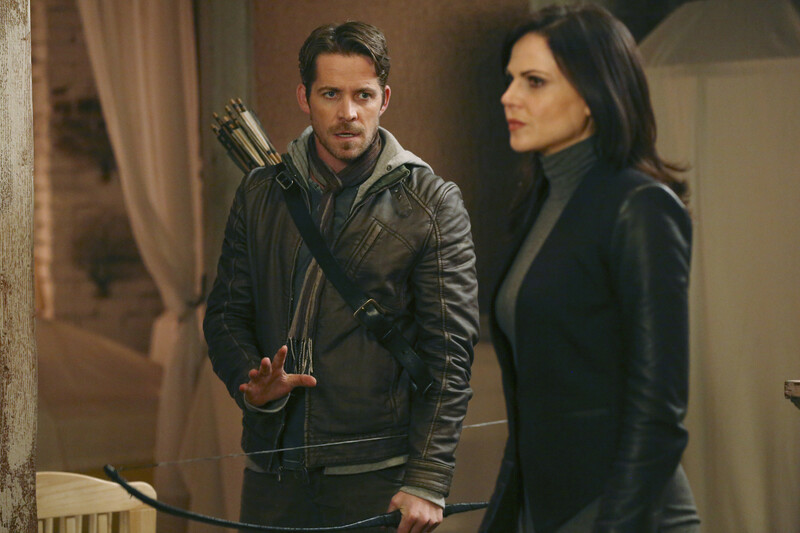 In the Once Upon a Time sneak peeks below, blackmailing Gold with the contract, Hades forces him to open up a portal. The destination: Storybrooke. Back in Oz, when Zelena tries to take the Scarecrow's brain for a spell, Dorothy (guest star Teri Reeves) returns in time to save him. Watch these sneak peek spoilers and tune in SUNDAY APRIL 3 8|7c! Sneak Peek: Dorothy is Back! Missed this week's episode? Catch up with the recap for "The Brothers Jones" here!